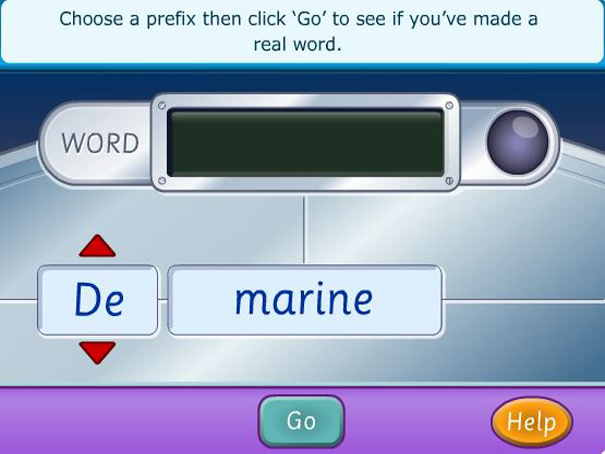 This fun, interactive game helps you learn how adding letters to the beginning of words (prefixes) or to the end of words (suffixes) can be used to change the meaning of words in English. Answer questions by adding the correct prefix or suffix. As the challenges become more difficult try adding both a prefix and a suffix to make words. See how many challenges can you complete!